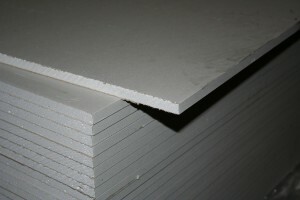 Plasterboard is suitable for a number of applications providing durable linings for walls and ceilings. Plasterboard is an inner layer of gypsum sandwiched between two outer layers of lining paper including various additives in the gypsum layer and varying the weight and strength of the lining paper, this will give the finished board different properties. Blumsom Timber Centre stock a comprehensive range that is available in a variety of sheet sizes and thicknesses depending upon your individual project need. Should you need further assistance or require costings on additional sizes please contact us.